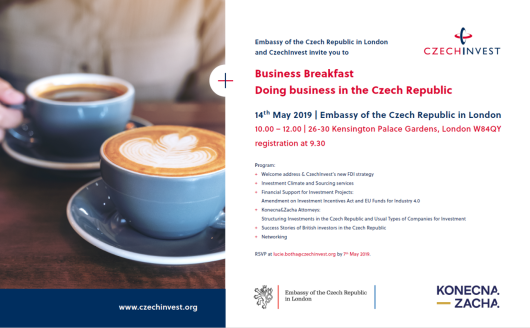 CzechInvest and the Embassy of the Czech Republic in London invite you to a business breakfast. The event will focus on current opportunities and the business environment for companies who have already invested in the Czech Republic or who are considering future investment there. RSVP to lucie.botha@czechinvest.org by 7th May 2019.